You are here: Home / Dive / 6 Best Freediving Fins: Up Your Diving Game! A good pair of freediving fins will not only help you dive more efficiently, but they also look pretty badass! Long and sleek, these fins are designed for maximum efficiency while finning. Each kick displaces a large amount of water, propelling you forward with less energy expenditure than a shorter fin would. Because you’re holding your breath during the whole process, you want fins that can transfer the maximum amount of power possible – any wasted energy will consume your precious oxygen. Why do you need freediving fins? How to pick the right freediving fins? The latest and greatest pair of freediving fins will undoubtedly step up your freediving/spearfishing game. But remember, some of the most talented divers on earth don’t even use fins! High tech fins can only take you so far – good technique and experience are far more important. It’s important to realize that not all fins are created equal. Freediving fins differ significantly from your typical scuba or snorkeling fins. This guide will explain how to choose the best freediving fins, and review some of the best fins for different uses. I can vividly remember the first time I used proper freediving fins. Up until then, I had been using cheap open-heel snorkeling fins (the kind that comes in an all-in-one snorkeling kit). That day I borrowed a friend’s Cressi Gara’s and the difference was enormous. Finning properly took some getting used to, but after a full day of spearfishing, I knew there was no going back – the power I was able to generate with each kick was incredible. I got myself a pair shortly afterward. Freediving is unique in its simplicity. You really only need a mask and fins (and maybe a wetsuit and dive float) to start diving. Having a good pair of freediving fins enables you to dive deeper, stay underwater longer and generate more power with each kick. These fins are built with maximum efficiency and power transfer in mind. As we all know, any unnecessary energy expenditure underwater will eat up your limited oxygen reserves. You don’t want to be flutter kicking through the whole dive. That’s why freediving fins are so long – longer blades have more surface area – displacing more water per kick. As your kick transfers power into the blade, it flexes and ‘snaps’ generating a second burst of power. This is especially true for fiberglass and carbon fiber blades – as they’re more flexible than plastic blades. Tried and true, these perfectly balanced fins have been manufactured by Cressi for over 30 years. The design is based on the popular Cressi 2000 HF, the main difference being they’re softer and more forgiving. They’re a perfect choice for any freediving or spearfishing beginner. If you’re new to the sport, you can’t go wrong picking up a pair of these fins – they’re priced very reasonably, so you can always upgrade later on and keep these as a backup pair. The plastic blades are on the softer side but are still stiff enough to provide a respectable amount of power. The softer blade fins are great for anyone transitioning from snorkeling fins to full-length freediving fins. They also work well for longer dives, as they require less effort to kick than stiffer fins. If you dive in cold water, the Gara 3000’s are definitely worth considering – the cold water can make some fins too stiff, but the Gara’s softer material stays flexible in the cold. The foot pockets are soft and comfortable and can be worn without dive socks for prolonged periods of time. 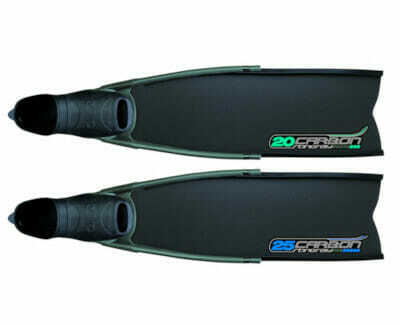 A great pair of fiberglass fins at a very reasonable price. 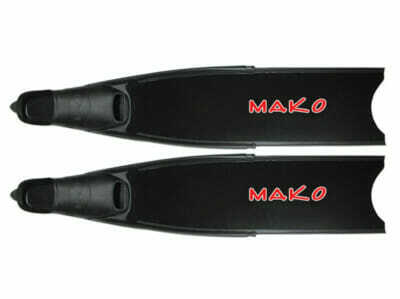 Whenever you buy Mako gear you’re getting top-shelf quality at prices significantly lower than the competition. These fins are no exception. These modular fins come with 80cm x 20cm fiberglass blades. Fiberglass blades offer major performance improvements over polymer plastic. They’re more flexible, offer greater power transfer and when flexed they return to their original position much quicker. These fins have hydrodynamic stability rails on each side, which help channel water more effectively. The foot pockets and blades are fully interchangeable, so you can customize them to your preference. The blades come in 2 stiffness levels – soft and medium. They also come in black, brown camo and blue camo colors. 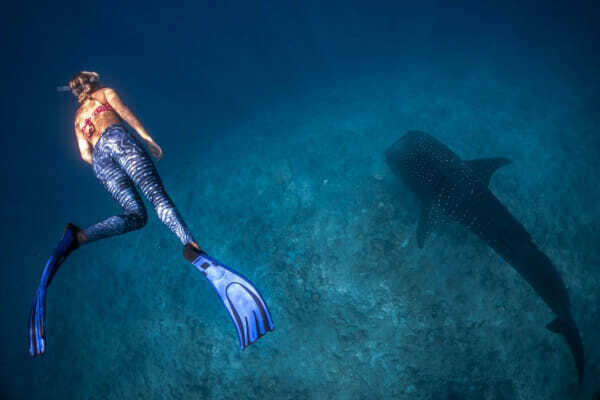 If you’re looking for a capable freediving fin that’s short enough to fit in a smaller suitcase or large backpack, these fit the bill perfectly. Measuring about 12” shorter than a standard freediving fin, these fins are perfect for mid to shallow water spearfishing or lobstering. The fin is on the stiffer side, but due to its shorter length, it’s not difficult to kick with. The foot pocket is very comfortable, doesn’t require dive socks, and fits true to size. These fins are designed to be sort of a hybrid freediving/snorkeling fin, so they’ll perform fairly well in a wide variety of applications. If you want a fin that’s maneuverable enough to use in shallow reef environments, while still being capable of taking you down to 30+ feet then these fins are a great choice. The blades are available in camo grey, camo brown and camo green colors. These sleek carbon fiber blades by Omer are perfect for anyone looking to take their freediving game to the next level. Carbon fiber offers peak performance in an ultra-lightweight package and Omer has specifically developed this carbon fiber strand for use in freediving fins. 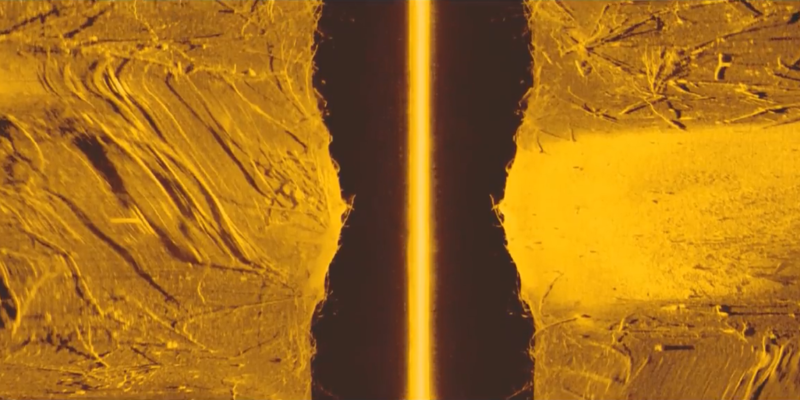 The unique manufacturing process uses double vacuum technology to ensure the carbon fiber strands are perfectly impregnated in the resin without any risk of microbubbles forming. The blades are available in 3 different stiffness levels: 20 – Soft, 25 – Medium, and 30 – Hard. The stingray’s thermo-rubber foot pockets are famously comfortable and well-liked by freedivers and spearos. They can be worn comfortably with or without dive socks, depending on your preference. The modular fin design allows you to swap out the expensive carbon fiber blades for cheaper plastic or fiberglass if you’re diving in shallower rocky conditions. The foot pocket and blade design is also very universal and will be compatible with most standard fin/blade designs. These tough polymer plastic fins are perfectly suited for spearfishing. 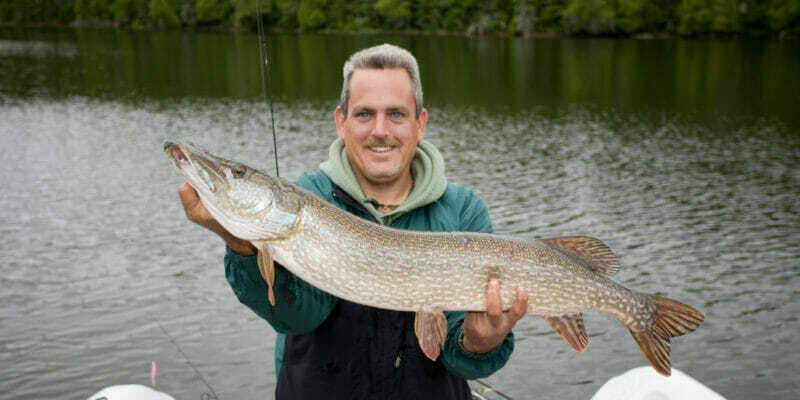 The blades are on the stiffer side, which makes fighting against the current – or wrangling a fish – much easier. The blades are made of high-end techno-polymer plastic, which provides great agility and elasticity to the blade. They’re also tough and durable, so you never need to worry about damaging your fins while you’re stalking fish. Traveling with these fins is easier than with one piece fins, as you can detach the foot pocket from the blade. Mares went all the way to collaborate on the foot pocket design with a leading Italian Podologist. As a result, the foot pocket is incredibly comfortable and shapes to the arch of your foot. This makes power transfer more efficient and results in less energy used while finning. The sizing runs on the small side, these fins are made to be used with a 3mm neoprene sock. If you plan to use them without a dive sock, ordering one or two sizes down will be necessary. You don’t need to break the bank in order to get a good pair of freediving fins. These fixed blade freedive fins are more than capable enough for most recreational freedivers. The soft thermoplastic foot pockets and are designed to be soft for comfort, but stiffer in areas where power transfer is crucial. The blade is made of tough polypropylene plastic, which maximizes thrust and enables you to get down to depth quickly. It’s is on the stiffer side, so if you’re looking for a softer blade, you may want to look at the Cressi Gara 3000 LD. These fins also work well as a backup/beater pair to use around rocks when you don’t want to risk more expensive carbon fiber blades. There are three main materials used to make freediving fin blades. Plastic, fiberglass and carbon fiber. They vary widely in price, functionality, and performance, so let’s break them down one at a time. The least expensive and most common freediving fin material is polymer plastic. Don’t think just because it’s cheaper that it’s a poor choice. These fins are great for beginners, people who use their fins in shallow, rocky environments and anyone who doesn’t want to break the bank on a pair of fins. Polymer plastic is a tough material, which means it can withstand a fair bit of abuse. If you dive in shallower areas with sharp rocks or coral then consider plastic fin blades. For beginners, plastic blades can help force your legs to gain more endurance as they require more force to fin with. On the other hand, plastic blades are not as efficient as fiberglass or carbon fiber blades, they’re more rigid and don’t provide the same type of ‘snap’ that high-end blades do. They also have a tendency to deform over time and can become less efficient after a lot of use. If you dive in cold water conditions keep in mind that some plastic blades have a tendency to stiffen in the cold – which can cause you to expend more energy and slow you down. The next step up from plastic polymer is a fiberglass fin blade. Fiberglass is an excellent material as it’s highly flexible – yet retains its shape over time. An ideal choice for divers of all experience levels – it’s perfectly balanced in respect to cost, durability, and performance. These fins cost significantly more than plastic ones, but they represent a major performance leap. They have far greater ‘snap’, giving you more power for each kick. They’ll also retain their shape for as long as you use them, giving them a longer lifespan than plastic fins – provided you take care of them properly. Fiberglass is not as durable as plastic though, so be careful when diving around rocks and other sharp objects. Carbon fiber is undoubtedly the Rolls Royce of freediving fin materials. It’s lightweight, super flexible, has incredible power transfer, and looks pretty slick too. Carbon fiber blades provide the most responsiveness of any freediving fin, which means the power from your kick ‘rolls’ through the blade rather than flopping. 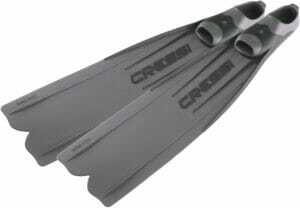 Keep in mind though; a pair of carbon fiber fins is by no means necessary for freediving or spearfishing. Sure, it’s technically the best fin material money can buy, but the increased performance you’d get over a fiberglass fin is not that significant for your average diver. Practice and experience are far more relevant factors. Carbon fiber is also the most expensive fin material (sometimes costing 2 times more than fiberglass), as well as the most fragile. If you plan on using your fins only in clear open water conditions, then carbon fiber may be a good choice. 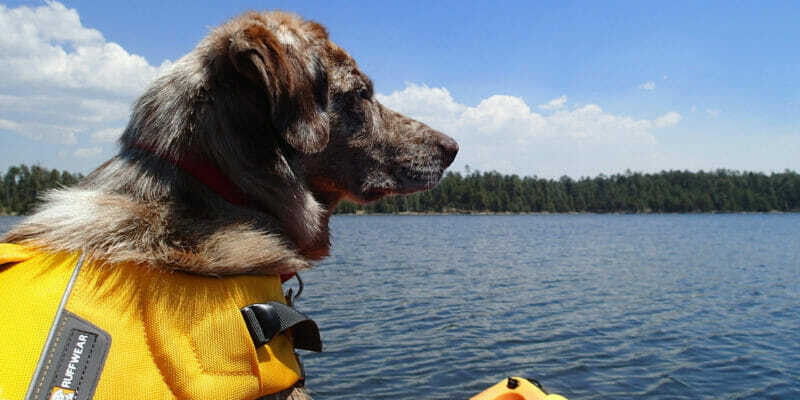 Otherwise, a backup pair of fiberglass or plastic fins is a good idea for rocky environments. Fin stiffness varies widely by make and model. In general, manufacturers will offer blades in soft, medium and hard. Blade stiffness really comes down to personal preference. 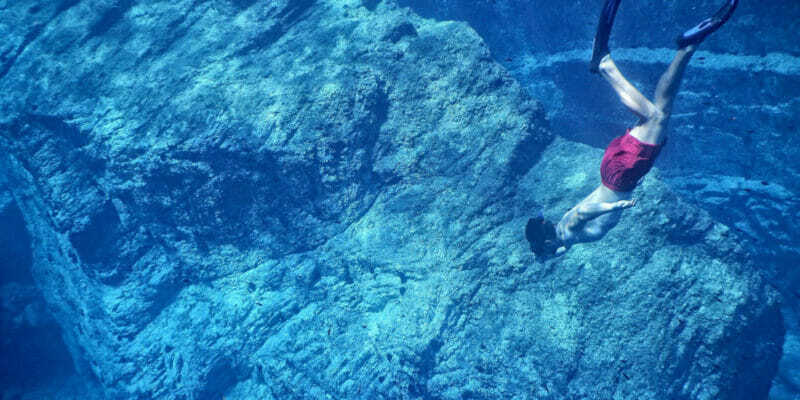 Some divers prefer softer blades, as they require less force to engage, while other divers prefer the power they can generate from stiffer blades. Stiffer blades will create better propulsion than softer blades – but they require more force (leg and hip strength) to use properly. In general, smaller divers tend to go for softer blades, while bigger people need the extra propulsion, so opt for a stiffer blade. If you’re buying blades for spearfishing, opting for slightly stiffer blades makes fighting against fish or current easier. Many experienced freedivers also prefer a stiffer blade for deep diving. Luckily you don’t need to buy multiple fins to take advantage of different stiffness levels. Detachable or modular fins are increasing popular – which allow you to swap out different blades according to your preference. Modular dive fins are a great choice for their versatility and convenience. If you’re buying your first pair of freediving fins, modular fins will allow you to start out with a cheaper plastic blade and then upgrade to fiberglass or carbon fiber as you progress. They’re also highly versatile – you can combine different brands of blade and foot pocket to configure your perfect setup. If a blade becomes damaged or worn out, swapping it out with a new blade is fairly simple. These fins are also great for traveling with. Some freediving fins can measure over 40” long including the foot pocket (which can make them challenging for airplane travel). Being able to detach the blade from the foot pocket means you should be able to fit modular fins inside a larger suitcase. Good foot pocket fit may be the most important factor in selecting a pair of fins. You could have the greatest fins on earth but if they hurt when you wear them, you’d quickly change them for something more comfortable. The foot pocket should be soft enough to wear for prolonged periods of time, without causing any pain or discomfort from being too tight. A good way to determine the right fit is to try on fins and flex your foot into the swimming position. The fit should be snug but not constricting. The fit will vary significantly by manufacturer and model, so trying on a pair of fins is really the best way to know if they’ll work for you. If you plan to use dive boots or socks, make sure to try on the fins with the dive socks on your feet – you may need to order one size up. Ordering one size up is often recommended when buying freediving fins. This allows you to fill in the gap with a dive sock. You don’t want to go too big though after a certain point power transfer will be affected. The best thing to do is to consult the particular manufacturer’s sizing guide. Blade rails are the ­rubber liners that run alongside the edges of fiberglass and carbon fiber fin blades. They’re meant to protect the sides of the blade from damage, as well as channel water down the blade more effectively. Rails aren’t strictly necessary, but if I were getting an expensive pair of fins I’d buy them for the added peace of mind. If you go with modular style fins, it’s important to make sure the rails match the stiffness of the blade. If you have a soft blade with thicker rails, it can make the blade perform like a harder blade. Maintain freediving fins is fairly straightforward. Plastic fins are notoriously tough and can handle some abuse, but fiberglass and carbon should be handled with a bit more care. Always rinse off with fresh water after use. Dry off blades completely before putting away. One of the top brands making snorkeling, freediving, spearfishing and scuba equipment in the world. Based in Genova, Italy near the diving paradise of Portofino, Cressi has been making highly sought after gear for over 60 years. They make the iconic Cressi Gara 2000 and Gara 3000 freediving fins – which are favorites of many spearos. Mako is a relative newcomer to the freediving game – but they’ve made a huge splash! Their unique business model allows them to provide high-quality gear for a very reasonable price. Mako cuts out the distributors and dive shop markups by selling directly to the consumer. 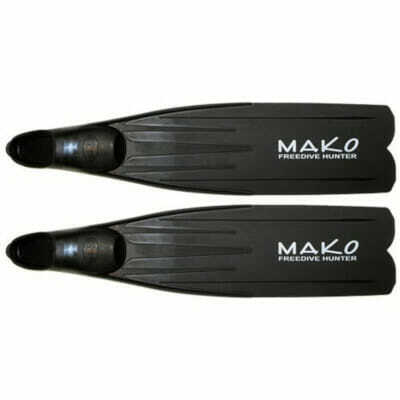 Mako freediving fins are affordable and a great choice for beginners. Founded in 1949 by Italian freediving champion Ludovico Mares, Mares is a now one of the top diving manufacturer’s worldwide. They started out making dive masks and spearguns and now manufacture all kinds of scuba and freediving gear. Seac makes some great freediving fins. The brand was founded back in 1971 in Genoa, Italy by diving enthusiast Marco Arata and is now recognized as a major innovator in the diving industry. 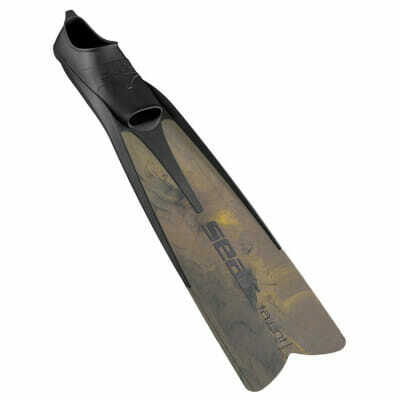 Check out their Seac Talent Fins for a shorter length spearfishing fin. Another great Italian diving brand, Omer started out in the 1970s with a special focus on making top quality spearguns. Since then, they’ve become highly regarded as a manufacturer of a wide range of freediving and spearfishing equipment. They also own Aqua Lung and Sporasub – both top-shelf brands in their own right. You might be curious about the difference between the various fins typically used for different activities. Snorkeling fins are light, compact and designed to be used on the surface or in shallow depths. They’re highly maneuverable so are perfect for exploring around reefs and other tight areas. They don’t require any special technique to use, their short length and flexibility make them easy for anyone to handle. Both open and closed heel styles are commonly available. Scuba fins are longer, wider and usually stiffer than snorkeling fins. They’re built to propel a scuba diver will full gear while at depth. They also commonly have channels or ridges built into them, which assists with moving water away from the diver. They’re also available with both open and closed foot pockets, depending on the diver’s preference. Freediving fins represent the biggest difference in fin design. They’re much longer (often exceeding 3 feet) and are fairly stiff in comparison to other fin types. The design is optimized to propel the freediver to ascent / descend quickly while using the least amount of energy possible. The added length makes them tougher to use than snorkeling or scuba fins and requires a different finning technique. Freediving fins typically have a closed foot pocket design, although you can find a few with an open heel design. Hopefully, you now have a better understanding of freediving fins and how to select the best fins for you. It’s important to keep in mind that picking the best freediving fins is a very personal decision. Consider the type of diving you plan to do, and if possible try on any fins before you buy them. A good fit should be your number one criteria when choosing a fin – it can be the flashiest, newest fin on the market, but if the fit is poor, it’ll be a pain to use. If you’re looking at fiberglass or carbon fiber blades, keep in mind that the performance jump from plastic -> fiberglass is much bigger than going from fiberglass -> carbon fiber. Going with a fiberglass blade will offer similar performance at a much lower price point. If you’re buying your first pair of freediving fins, modular fins are an excellent option. They allow you to start off with something reasonably priced, and then upgrade to fiberglass/carbon fiber as you progress. 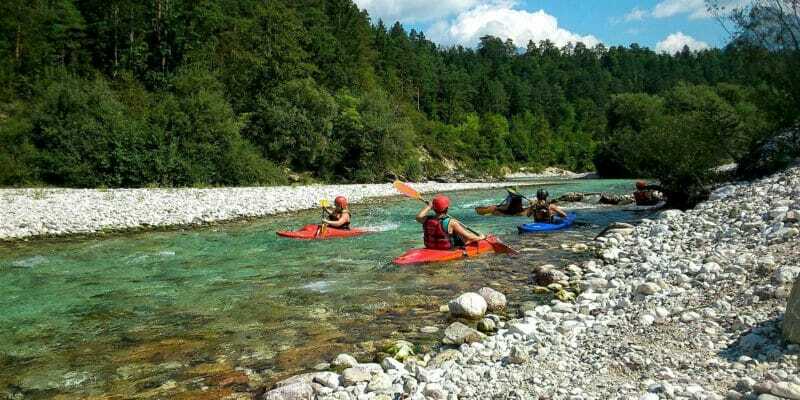 Lastly, don’t get too bogged down in picking out the perfect pair of fins – get out on the water and enjoy yourself!